Organisers of the UK Pool & Spa Expo have confirmed that the wet leisure showcase will attract leading USA hot tub brands when it returns to the Birmingham NEC next year. A loyal band of exhibitors including Aqua Warehouse Group, exclusive distributors of the L.A Spas and Vita Spa ranges of hot tubs and swim spas; and Spa Solutions, exclusive distributors of Alps Spas and Viking Spas, have racked up four consecutive appearances to promote their USA manufactured hot tub ranges and are expected to be among companies making early stand bookings for the fifth outing of the three-day event, which is scheduled to take place from October 23 to 25. “We have attended all four of the UK Pool & Spa Expo events as an exhibitor and this has been by far the best one so far,” reported Aqua Warehouse Group chief Richard Hart. Villeroy & Boch were among a number of European hot tub brands making successive UK Pool & Spa Expo appearances this time round; along with Passion Spas, and Wellis and may be tempted to return next year. Canadian brand Hydropool came back to the exhibition after missing the earlier one this year and Belgium-based company Bo Spas, which made its debut, may also be considering attending the 2016 exhibition that had a change of format with the Consumer Day being hosted first ahead of the two dedicated Trade Days. Organisers have already confirmed that flourishing USA brand Artesian Spas will be among the group of previous exhibitors that have made an early verbal commitment to the 2016 event schedule. They are also aiming to entice companies such as hot tub and pool product specialist Hydrospares, and La Motte Europe that swelled the ranks of exhibitors during this time round. 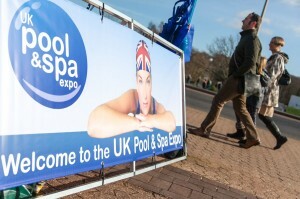 UK Pool & Spa Expo Event Director Claire Saunders admitted that it had been a tall order to ensure the recent exhibition was a successful one after her New Events company took the decision to host two events in the same year. 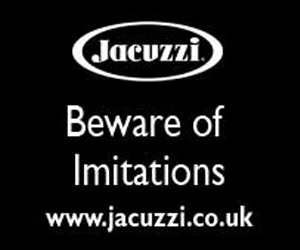 Claire reported many companies that had been exhibiting at the three previous UK Pool & Spa Expo exhibitions had already committed their budgets to other events and so were unable to make a double appearance. “It has been a tough task to promote and host an extra UK Pool & Spa Expo on top of our earlier one at the start of this year,” said Claire. “Some of our previous exhibitors had already allocated their budget spending to attend other exhibitions and events throughout this year, so they couldn’t attend this one. But, from what we’ve been told, they want to return next year. “One of the reasons we moved the event to this time of year was to help avoid really cold winter weather, like we previously experienced in January and February, but unfortunately we had freezing temperatures on Sunday for the Consumer Day that may have hit visitor numbers. “There was a steady flow of trade visitors on Monday and Tuesday and from the feedback we’ve gained so far, many of our exhibitors have reported that they have secured quality leads. To book exhibitor space for the fifth edition of the UK Pool & Spa Expo, set to run from October 23 to 25 in 2016, email: info@ukpoolspa-expo.co.uk or contact the New Events team directly on +44 1428 609382.